When life is an adventure and Spirit the guide, anything can happen—and usually does. So begins Cheryl Lafferty Eckl’s tour de force of enchanting poems that are both daring and sublime in their courageous expression of life’s inner journey. Here you will meet a true soul friend who has embraced the fiery paradox of light and shadow in her personal odyssey—and who invites you to do likewise. 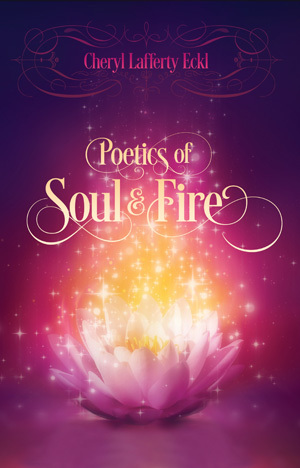 Join this modern-day mystic as she leads you through a magical doorway into secret worlds of luminous wisdom that will delight and inspire your own encounters with soul and fire.